"At least in the first responder world, this is becoming all too normal. 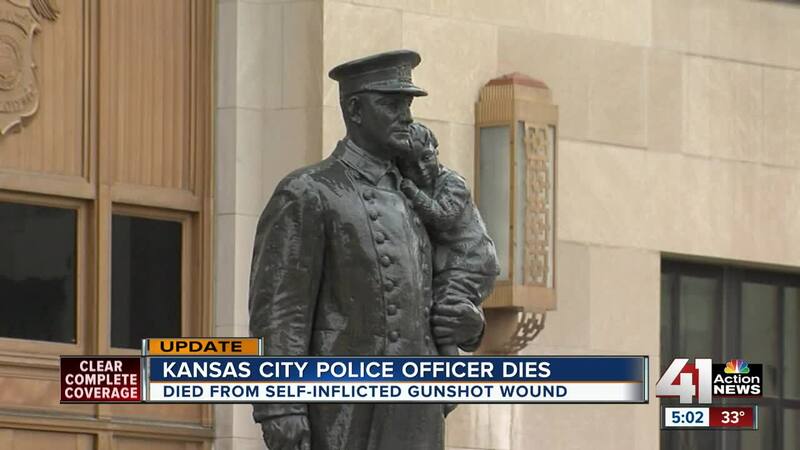 And even though we work really hard to try to find another way to get people resources they need and the help they need, we lose some of our members," said Brad Lemon, president of the KC Fraternal Order of Police Lodge 99. Kansas City and Liberty police officers searched for the KCPD officer Friday night after hearing he was in trouble. They found him suffering from a self-inflicted gunshot wound in the Pleasant Valley Baptist Church parking lot in Liberty. The officer, a 10-year veteran of the department, died Monday. Police departments across the nation have been battling these issues for a long time. According to Blue H.E.L.P., 159 officers died by suicide in 2018, including three in Kansas and four in Missouri. "I can name every police officer that has died in the line of duty since I've been on the job. I cannot come close to naming everybody that has chosen to take their own life," Lemon said. In August, the Kansas City Police Department received the go-ahead to start a peer support team, where 60 members of the department will serve as peer support specialists. The goal of the program is to prevent these types of tragedies from happening by having conversations early. But months later, the program is still not in place. All police departments in the metro have some sort of resource dedicated to employee mental health, whether it's an Employee Assistance Program (EAP) provided by the city or a police chaplain program. As KCPD works to get its program off the ground, officers are mourning the sudden loss of their friend and colleague. "How do you handle losing a friend? How do you do it? I don't know how you deal with it,” Lemon said. The officer's family decided to donate his organs. Donations can save up to eight lives and some, such as tissue, can enhance up to 75 lives. 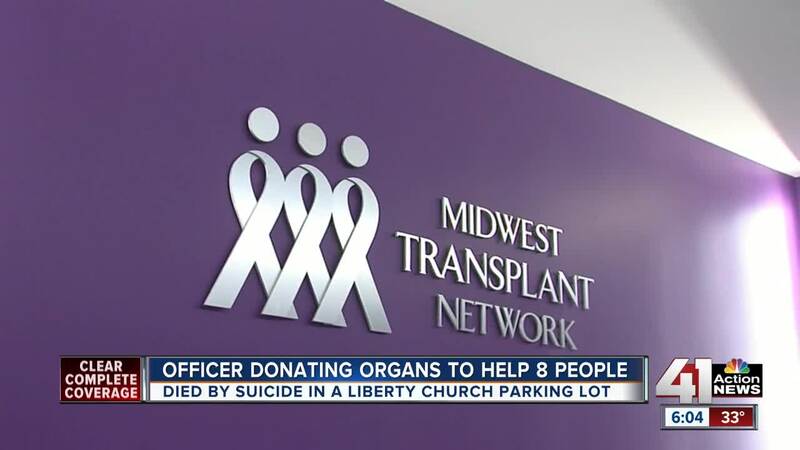 "I think people die in tragic circumstances, unfortunately, and oftentimes for those families donation can be a gift for them to know that despite how someone passed away, they are still able to be a hero and leave that legacy of life," said Megan Maciel, community engagement coordinator at Midwest Transplant Network. The network said Missouri and Kansas have some of the highest organ donation rates in the country.